I tried on the Refresher Racer Dress today and it’s really nice and if you have the right body type for it I think its a great buy. My fit issues with it is the typical for a pear shape and sheath shaped dresses – fits well up top and then slightly clingy around the hips causing it to ride up or stretch over the hips. If it was slightly more A-line towards the bottom hem I would have snatched it up because I really love the length. 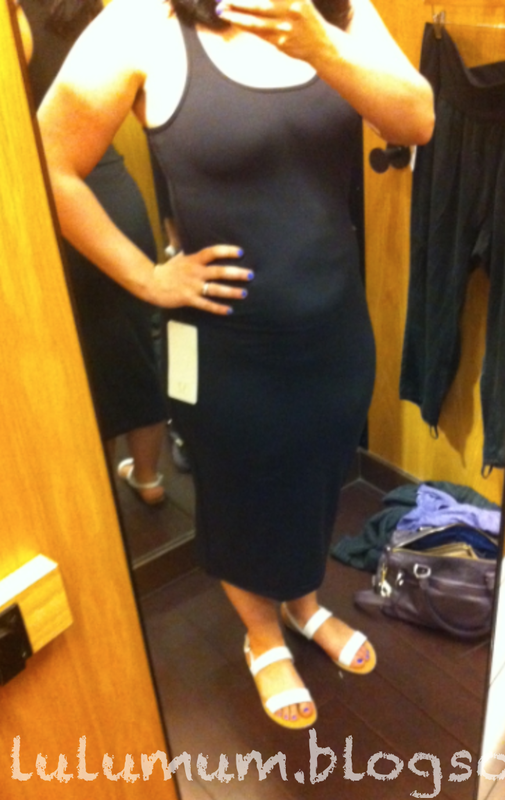 I definitely needed to wear spanx under this to make it less lumpy but other than that, and the fact that its not a great shape for my body type it was really elegant and nice (for a athletic wear dress). 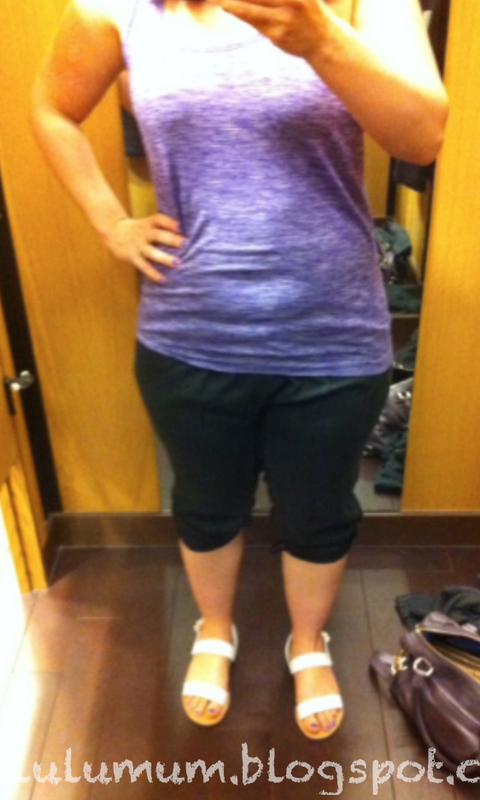 My find for the day was the Post Power Crops on markdown for $64. It seems like most stores have these on markdown so if you are interested definitely check your store out, I saw them at both Coquitlam and Metrotown in all colors and sizes. I tried these on when they first came out and really liked them with the exception of the excess material in the lower abdomen area so I decided to leave them behind in hopes that they would eventually be marked down. These are my TTS size 10 and fit really comfortably. If you fold the waist over (which is luxtreme and high) you minimize the tummy pouch look. Unfortunately I didn’t get a picture of them with the waist folded over so you definitely see the excess material in this picture. I love that you can fold the hems, or cinch them or wear them longer. They will probably fade pretty bad as Tencil does, but for the markdown price I can live with it fading to grey eventually. "Pretty Palm Wunder Under Pants, Palm Play Wunder Under Crops and Bruised Berry 105F Singlet"